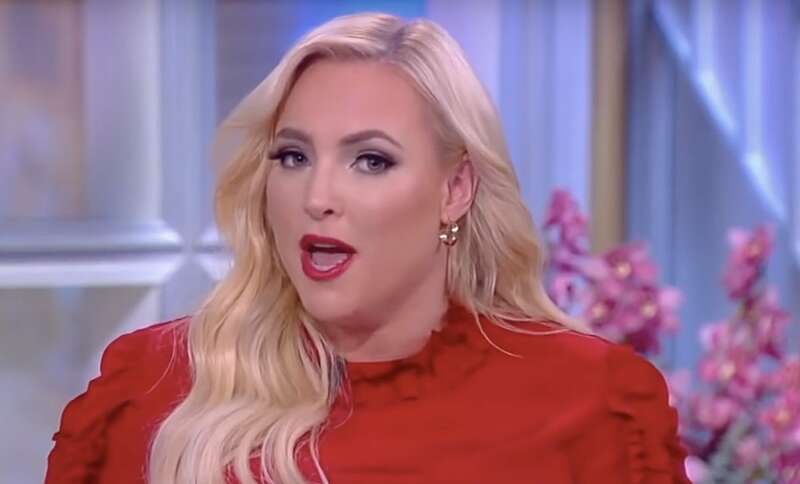 Monday, conservative commentator Meghan McCain infuriated most of Black Twitter (and just about anybody in general with good home training) after a video of her being disrespectful to The View cohost Joy Behar on air went viral. As a longtime watcher of the ABC daytime talk show, I can say with a ton of bass in my voice that Bahar — who is white — is still easily one of the top 3 “pro Black” hosts the show has ever had. Yes, for me she even ranks higher than Whoopi Goldberg, who is Black, but at times seems a little out of touch with the current ‘woke’ movement that our culture is experiencing. So, when my inbox started filling up last night with clips from Monday’s broadcast, along with messages like, “Can you believe this b*tch?” referring to McCain, I was doubly offended. First, because her snide remarks are always so rude they make me wince, and secondly because she had the nerve to disrespect one of the few people on that stage (aside from Sunny Hostin) who is willing to go toe-to-toe with her! But once my initial, “Leave Aunty Joy alone!” reaction dissipated, I was then left with a feeling of extreme annoyance that surpassed the narrative of watching a nasty coworker who can’t play well with others. And after mulling over it all day, it finally hit me: I’m mad that Meghan McCain, in all her white privilege, gets to be the “angry Black woman” that we actual Black women could never get away with! Any woman of color knows the unspoken rules of succeeding in a workplace where the fact that you are both female and melanated means folks are subconsciously waiting to see if you’re one of “those” sisters. In response to the cultural bogeyman that is the angry Black woman, most of us choose to run in the other direction and censor ourselves excessively, at times to the point of complete silence. Some of us don’t speak too assertively so as not to be called “aggressive,” we coddle white women, and all types of men around us, so we can be seen as approachable rather than “intimidating,” and in cases where a bit of displeasure or righteous indignation is completely warranted, we still do our best to keep our voice down and soften our stance. And this is all done, be it consciously or subconsciously, out of fear that one day someone will stamp us with a scarlet letter “A”, as in angry — a word that even when appropriate, somehow means we are now incapable of being respected or acknowledged for our contributions. But while sisters all over the world do the “please don’t call me angry” two step, somewhere in a studio in New York City there is Meghan McCain, sitting on a panel like an ice queen from a Disney movie, with a permanent scowl on her face as she gives herself permission to be as militant and disrespectful as she pleases without a care in the world. Perhaps the reason McCain is so comfortable acting like a toddler constantly on the verge of throwing a tantrum is because this gig, and just about her entire career was figuratively paid for by her father. White nepotism is as American as apple pie; a birthright to white Americans whose ancestors built this country on the backs of slaves, and then hired their sons, nephews, and play cousins to run it. But back then white people had the decency to at least pretend that they got ahead on their own merits. A memo that McCain clearly didn’t get as she relishes in taking every opportunity to mention her father, the late Sen. John McCain. This habit has become so exhausting, some mastermind on Twitter even made a compilation of her saying, “My father” over and over again in interviews and appearances. Being a daddy’s girl is one thing, but can you imagine just how much Fox News would tear into Sasha and Malia Obama if they grew up to talk about their father (at work of all places) as incessantly as McCain? They would be mocked and chided for not being able to succeed on their own, even though unlike our dear Meghan, their dad actually knew how to win a presidential election. “If privilege were a commentator… Imagine if I behaved this way? You’d never see me on TV again,” echoed political commentator Tiffany Cross. What both these women highlight is the stark reality that for Black women, attempting to side-step the stigma of being deemed angry often isn’t about ego or even likability but survival. We very rarely get access into certain rooms, so once we’re in, we often do our darnedest to stay in — even if it means biting our tongues till they bleed. While Black women continue to have the highest graduation rates in the country, taken over Hollywood in a way that has birthed this century’s first Black cultural Renaissance, and serve as the backbone for communities that still insist on viewing them at the bottom the desirability food chain — McCain in all her bleach blonde intellectual mediocrity — still gets to live in a world where she thinks it makes sense to chin check a 76-year-old television vet on what her job is. That is the America we now live in folks. White fragility has always been a thing, but at least before it was clever in its attempts to protect its own supremacy. But thanks to Trump, now even the least intelligent white people feel emboldened to strut their stuff and assert their dominance without a shred of shame or remorse. So perhaps thats why the clip of McCain being a mean girl struck such a nerve this week. This isn’t really about her, but more so about the fact that she serves as a reminder of all the messy parts of the human experience she gets to publicly act out, without her actual humanity ever being up for debate. Meghan McCain is impulsive and rude because she has the freedom to be. A freedom that many of us will never be afforded, no matter how successful, polite or reasonable we try to be. Must be nice.